I can make this really simple. Wealthy is what you can do. Rich is what you do do. Broke is what you can’t do. Poor is what you don’t do. Rich and poor are demonstrated visibly. Whether someone is wealthy or broke is hidden or a latent, but it may become visible. Conversely, what is visible eventually becomes hidden(*). It is really quite obvious isn’t it? (*) For nonproductive behaviors, poor leads to wealthy and rich leads to broke. For productive behaviors, rich leads wealthy and poor leads to broke. 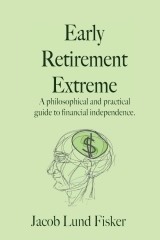 previous post: What’s great about being financially independent and early retired? 11 users responded in " Wealthy, rich, poor, and broke "
So, I’m wondering . . .where would someone in the ‘middle class’ fall in your thinking? I think I remember you referring to someone in the middle class in a past blog and I was trying to figure out what that meant for you. Or would you simply say that middle class is what you earn and how you spend it has nothing to do with what ‘class’ you fall into? I sometimes wonder what middle class means these days with all these houses underwater and all that credit card debt! Crazy times. @Trish – The middle class works for their money, then they spend it. Relatively speaking they have no income producing assets. (They may have some but they are small compared to their earned income.) Only way to differentiate the middle class from the lower class is their ability to go into serious debt (100k+) via mortgages. It’s black and white. we make money! We’re rich! all sarcasm aside. I this one got me reading everything at Wikipedia. Strong post. My summary of your simplicity is that broke-wealthy are options/possibilities, whereas poor-rich are choices/consequences. Though you did stump me on poor leads to broke under productive behaviors. Elucidate, please. I like the ideas that you present in posts like this but I have to admit that the presentation itself is rather weak sometimes. I suppose that I read your blog for the ideas, not the writing. However, considering the fourth comment was a request for lucidity you might want to expand these types of articles to better communicate the concepts and their implications. Just some friendly constructive criticism. I think I understand you, but this part confused me a bit. Please clarify! So I can make things too simple. Too bad, I hoped my next book could be reduced to 50 pages. For someone, who does this brilliantly, check out Eric Hoffer. If you spend like a poor (rich) person, then all things being equal, you will become wealthy (broke). If you earn like poor (rich) person, then all things being equal, you will become broke (wealthy). I should probably have drawn a graph. I can follow it now, thanks. The implied substitution of frugal-spendthrift for poor-rich is insightful (though counter-intuitive without reflection). You could channel a little Tufte and probably better service your goal of writing a 50-pager. The middle class is the lower class with credit cards. Kind of reminds me of what I try to convey to my wife: to have things you have to learn to be happy with nothing. If you must have things you will end up with nothing.